Would you like to know how to supercharge your writing? Today, novelists are using cinematic technique to create visually dynamic scenes. Readers, used to watching movies and TV, have come to expect a more “cinematic” experience when they read. They want to watch the story unfold before their eyes rather than be told what is happening in summary or exposition. In film, the story is conveyed visually by a series of camera shots which are edited together to create each scene. The choice of camera shots within a scene affects the mood, focus, and emphasis of the story being told. It directs the viewer’s attention to specific elements. The close-up is the most commonly-used shot to reveal detail. A close-up or close shot usually includes a person’s head, or perhaps the heads of two people, and no more. Many scenes writers write involve conversation or action between two people. In addition, close-ups are used to “watch” action taking place close enough to highlight important details. Use close shots when you want the reader to notice an object, a character’s small action, a subtle detail, or a reaction (facial close-up). When the camera is in close, you will notice many things–in fact, everything you can see from a distance of a few feet. But can you imagine trying to put everything that can be seen into your scene? How many pages would it take to describe what your characters are wearing, and every item in the background, including the title of every book on the shelves and every dish on the table? How Much is Enough? Or Too Much? How much do you describe to “set the stage” effectively? 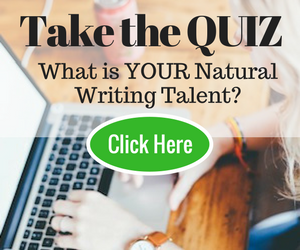 The answer depends on the writer’s style, the genre she’s writing in, and what is important to reveal. You’ve read books so void of close-up details that you can’t picture what’s going on. Conversely, you’ve read novels containing pages of tedious, unnecessary description that bog down the story. There is a middle ground, though, and it points back to the point of the scene. You want the reader to notice just enough for them to picture the scene, while directing them to items, faces, sounds, smells, etc. that will enhance the moment, advance the plot, reveal character, and evoke emotion. In this scene in The Fence My Father Built, Linda S. Clare uses a close-up shot to have her character look at the things in the closet, then moves in with an extreme close-up as she studies and reads a letter she’s found. I went to the cramped room Nova and I shared to decide on my own clothes, crammed into the closet with all sorts of boxes of Lutie’s sewing supplies and who knows what else. This would be my first real social outing since we’d arrived. A few of Lutie’s church ladies had stopped by—with covered dishes and a jar of last years’ homemade applesauce. I slid a boot box to one side. It fell over and its contents tumbled out. Instead of crochet hooks or balls of yarn, a pile of papers and old photos lay at my feet. On a yellowed photo the likeness of Joseph Pond stared up at me. He stood on a rise overlooking the creek. Shadows cut across the landscape and my father’s profile. I picked up the snapshot and smoothed it, running my fingers across his face. I sat on the edge of the bed and tried to pray for the first time since I could remember. I felt awkward and clumsy but I asked for guidance anyway. Before I could stop it, a tear splashed on the print. I wiped it away and wished I’d come here while he was still alive. This was what was left of my father: old pictures, clippings, cocktail napkins scrawled with drawings and a letter, on lined paper, written in a strong upright hand. I still wasn’t sure I could enter into his beliefs. “I want to believe,” I said out loud, “but I’m so confused. I just don’t see how God can help me in my situation.” I carefully folded the letter and placed it in my wallet, for safekeeping. I gently laid the other things back into the box and slid it back where I’d found it. I wondered if Aunt Lutie had planted it there for me to find. See how Clare used close-up camera shots to show detail? The details writers bring to the fore should give insight into the characters and move the plot forward. In Meg Moseley’s When Sparrows Fall, the scene starts with a full shot of her two main characters talking in a barn. Many writers would leave the camera there and “shoot” the entire scene from that angle. But Moseley doesn’t. At just the right moment, she deliberately zooms in on what’s crucial to the scene—the revelation Jack will come to—which is a vital element of the novel. By pushing that camera in close, the scene is made powerful. Jack moved to the doorway. Leaning against the massive timbers, he studied her profile. Her lower lip trembled. Breathing fast and shallow, she said nothing. He realized he was framing her, as if he were the photographer now. Memorizing her. In case she sent him away for being a bully. In case he never saw her again. The sun caught the quilt on her shoulder in a golden spotlight. The fabrics in the wide border of the quilt didn’t quite match the worn and faded fabrics in the center section. In one corner of the center piece, the sun highlighted small holes where someone had pulled out stitches that must have been made with thick thread. The stitches had left ghosts of themselves, perhaps the remnants of lettering. Like the names she’d embroidered on crib quilts. Drawn closer still, Jack traced the ghost-stitches with one finger. Seven or eight letters, maybe. Everywhere, sets of seven. Seven dried roses in the wreath on the door. Sets of seven drawn on the cover of the attendance book. Six angels in the Christmas cupboard and one more hidden in the kitchen. Six baby quilts, and this one—but only six children. By bringing her “camera” in close, Moseley tells the reader to pay attention to the small section of the quilt where letters had been removed, revealing a key plot point in the novel. Add the close-up shot to your writer’s toolbox to supercharge your story and make readers pay attention to key details that are important to the plot and premise. To know which scenes in your novel would benefit from a close-up shot, you need to identify the most important moments in your novel. Then, work out how such a shot could emphasize the importance of the scene. Is there a clue to a mystery you want the reader to notice? By being deliberate in the choice of camera shots and using them in a natural, unforced way—mimicking the way we move through life and interact with our world—writers can tell a powerful, effective story. And getting “up close and personal” is the best way to get there. Can you think of any well-known novel’s scene that uses a close-up or extreme close-up shot to powerful effect? Share your inspiring insights in the comments! I enjoyed the article from the start to end. I really want to some cinematic techniques to creative nonfiction.I have already done experiments in writing and providing some creative essay writing help for some students. I’m very unlucky to read your article. Hope much more interesting articles from you. I mean I’m very lucky to read your article. Cracking article. I always look at my scenes in my stories as if I’m looking through a camera lens, but the idea of zooming in for a close up so as to highlight certain aspects of my story is something I am keen to examine and if I’m not doing it, give it a go. Thanks, Roo. There are so many great camera shots writers can use. I love the Pull-Back to show not just more of the actual setting and characters, but also the feel of a revelation, larger understanding, which the example from When Sparrows Fall shows. Pull-Backs can give an aha moment, and I talk about all these camera shots in my book. Some neat techniques are montage shots and series of shots. Thanks for sharing your comment! Can you use this technique in songwriting too? Thanks. This is to let you know that your Amazon widget partially blocks seven or eight paragraphs of this excellent article. I just wish I could have read the whole thing. Are you aware that you can specify the width of the widget so that it fits in the sidebar? Thanks for pointing this out, Scott. Our tech team has been notified, and will fix it soon. Really appreciated your post. Your examples really showcased what you meant by cinematic technique. It is something that could enhance just about any type of writing. Thanks, Kit! You can certainly apply all the cinematic techniques to creative nonfiction. My book goes into detail about more than a dozen camera shots, but also delves into the use of angles, shapes, and colors, as well as image systems.